support the Community Quilt Project. We are a small business that makes quilts for people facing illness or other hardship, a popular feature on Daily Kos that has blossomed into the Community Quilt Project. A friend suggested we also branch out and make something for cat lovers–and thus the Pootie Pad came to be. 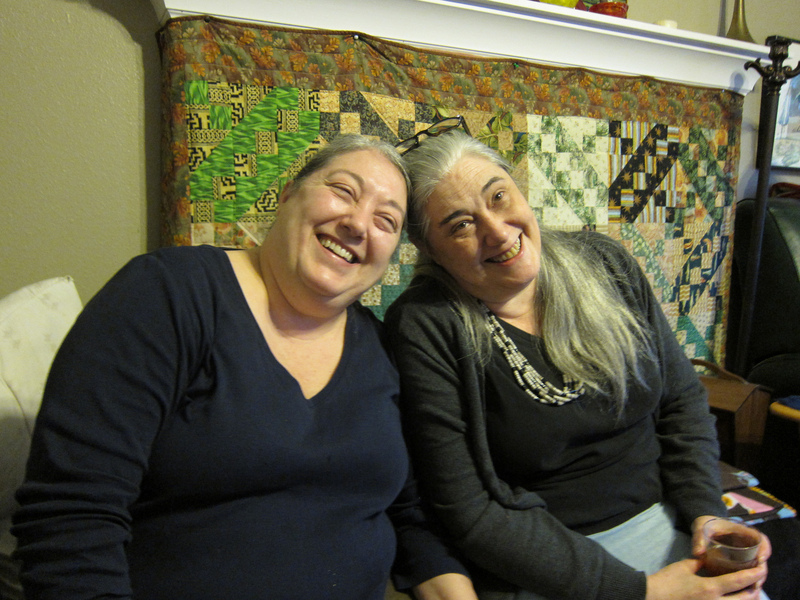 Custom Quilts, Community Quilts, and Pootie Pads are handmade in Portland, Oregon by two sisters. They are made with love, care, humor. Pootie Pads Come In Three Sizes! So What is a Pootie Pad?